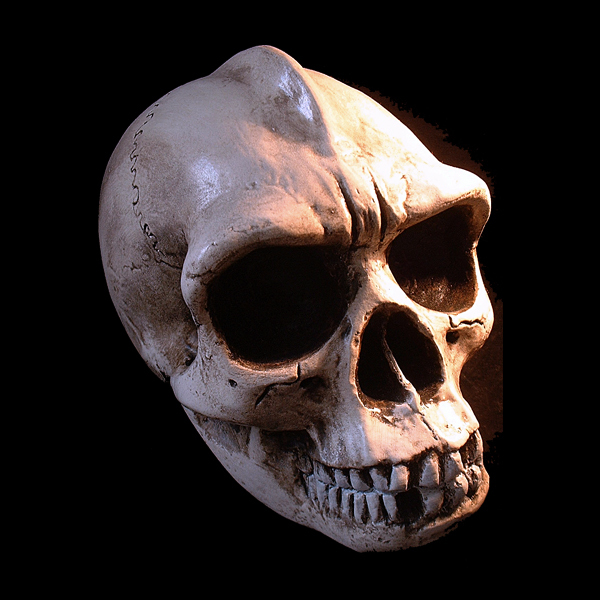 Designed for a feature film project this is a life-sized skull reproduction of a stylized Neanderthal cave dweller. Hand finished and intended for several “excavation” scenes within the film to be shot on location in Morocco. Approx. 6 inches high and 8 inches long.